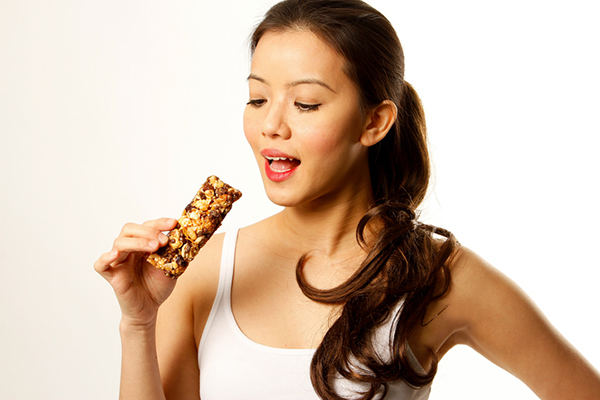 FitnessRX for Women > Nutrition > Healthy Eating Tips > Loopholes: Can You Really Cheat Science? Loopholes: Can You Really Cheat Science? IIFYM (If It Fits Your Macros) protein bars, protein muffins and protein cookies … you’ve seen them. Some of us have fallen for it. “Well, if it has protein, it must be healthy.” While some of these might be slightly healthier versions of some fairly unhealthy foods, making them “more healthy” does not make them totally non-detrimental to our health goals. 1. When we rely regularly on these “loopholes,” we counteract all the good choices we are making. 2. These are foods that are just not healthy, no matter how you spin them. 3. Justifying that a food is OK is basically lying to yourself. And once you allow one thing to become OK, it’s easier to allow other things to become OK.
4. Processed food of any kind will make you more prone to craving more unhealthy processed food. 5. Your body has to work harder to break down whole foods and absorb the nutrients. Processed foods tend to be void of nutrients but overloaded on calories. Your body stores the excess. 6. All those protein options still contain sugar. Added sugars are a problem. We get it. Processed food tastes good. Plus, eating healthy is not easy, especially in the beginning. It’s hard. It’s less convenient, and it requires time to prepare. Our taste buds have been overrun by foods designed to addict us to the flavors and keep us coming back for more. I’m not saying planned splurges are not OK. But deluding yourself into thinking that ice cream is OK because it fits your macros is ridiculous. Do your homework. Know what you are eating. Don’t fall for the gimmicks. And always assume whole, clean food is better than processed diet food.